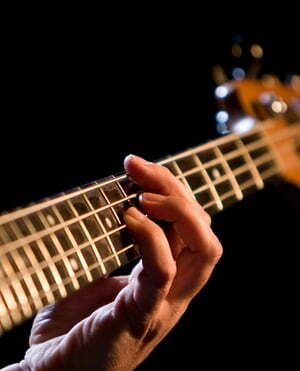 The Fender DLX P Bass Special is a very versatile and powerful bass. On passive mode, it remains having the classic sound and feeling that you would normally expect from a P Bass, it has a very warm and clear tonality and color. With the Dual-Coil Ceramic Noiseless Jazz Bass pick-up on the bridge, it can bring out a much more funky sound, ideal for slapping and groovier tones. On active mode, the sound gets pretty massive and powerful, which makes it very versatile and colourful. It?s incredible how many different sounds you can get from it. Cons: The only bad thing for me about this bass is that it could have a light or something that tells you that the active mode is still working, otherwise it?s really easy to forget that batteries are still in use. ID: 415906 © 1996–2019 Thomann GmbH Thomann loves you, because you rock!